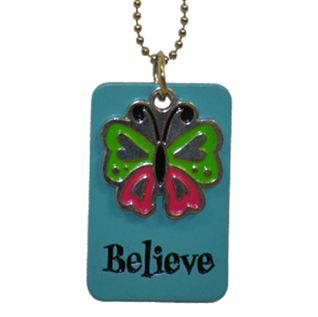 This dog tag features the phrase Believe on the front with a butterfly. The back reads, "With God all things are possible. 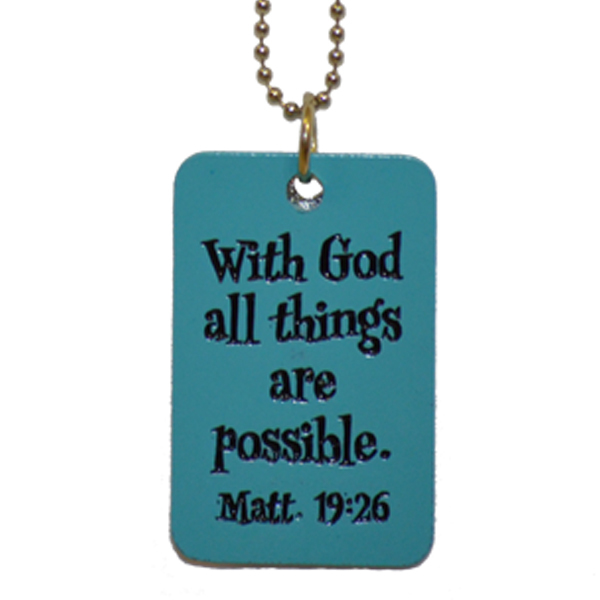 Matt 19:26."